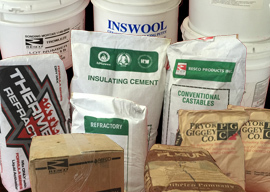 Gold Coast Refractory Service provides the essential services needed to keep your equipment running safely and effectively. 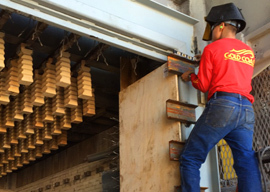 As a leader in the industry, Gold Coast Refractory Service provides turn-key installations, refractory construction, regularly scheduled maintenance, emergency repairs, inspections and robotic demolition. Our record of quality, experience, safety and reliability is the reason for our reputation and a number of long term relationships with other industry leaders. We pride ourselves on the knowledge and experience of our highly skilled staff of technicians and engineers. 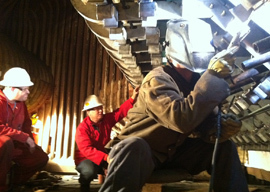 We are committed to utilizing the best talent available for every project we undertake. 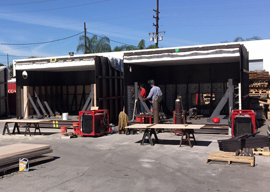 Whether it is for new refractory construction, maintenance, or emergency repairs, Gold Coast Refractory Service will provide you with the solutions to address your refractory needs.